A GoFundMe page set up for Seth Owen raised $141,000 to help with his Georgetown tuition. Now, DeGeneres has another surprise for him. This summer, the internet rallied for Seth Owen, a gay co-valedictorian of his high school headed to Georgetown University from Jacksonville, Fla. whose parents kicked him out of his home for being gay. Not only was the teen couch-surfing for months during his senior year, but his financial aid package from the prestigious school fell about $20,000 short of what he needed to cover expenses. When his high school biology teacher set up a GoFundMe page to cover the gap, the money rolled in and Owen made a total of $141,000 from people who were moved by his story. 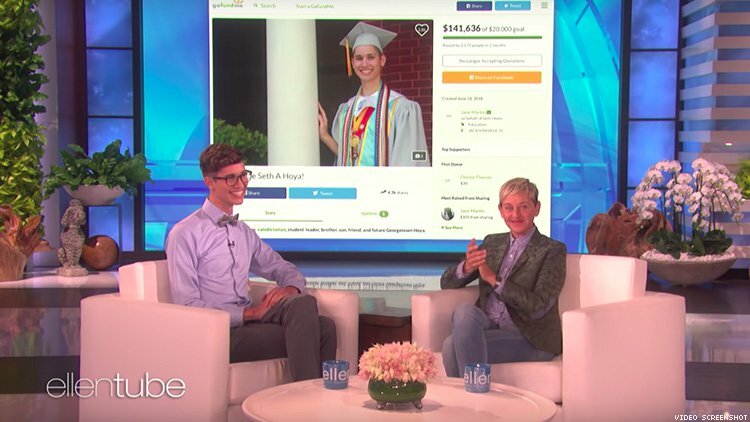 Now, Ellen DeGeneres has another surprise for the Georgetown student. Just two weeks into his semester at college, Owen appeared on Ellen DeGeneres’s show to tell the story of how after his father rifled through his phone and discovered a picture of him with his boyfriend, he was sent off to a conversion therapy program. 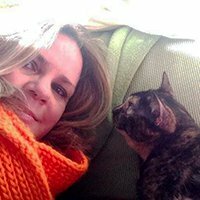 Owen also relayed that after conversion therapy, his parents began attending a new church run by a pastor whose views went against Owen's beliefs. When his parents gave him an ultimatum to go to church with them or move out, Owen left. They also refused to pay his tuition for college. After months of crashing on various friends’ couches, the teen ended up staying with his best friend’s family. Owen, who said he is thriving at Georgetown with support from the faculty and staff, explained that after he graduates, he plans to take the leftover money from the GoFundMe page and set up a scholarship for kids who endured similar situations. DeGeneres, of course, gave him a little something to start the process.